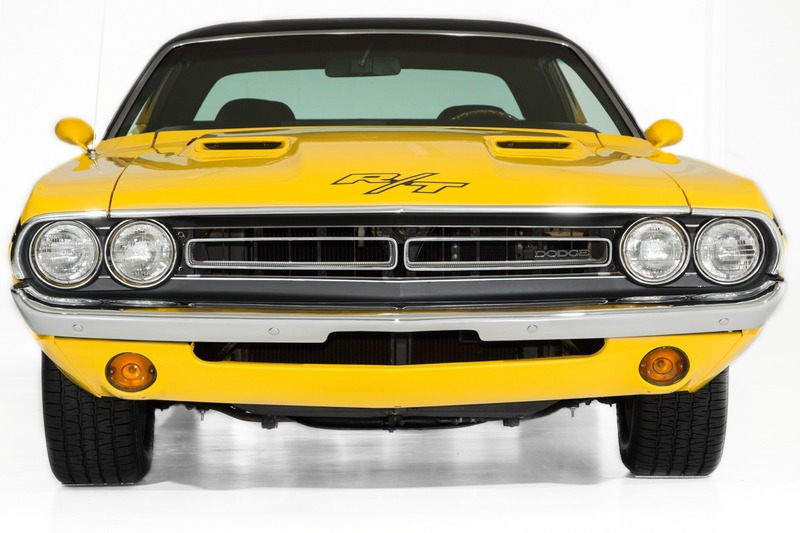 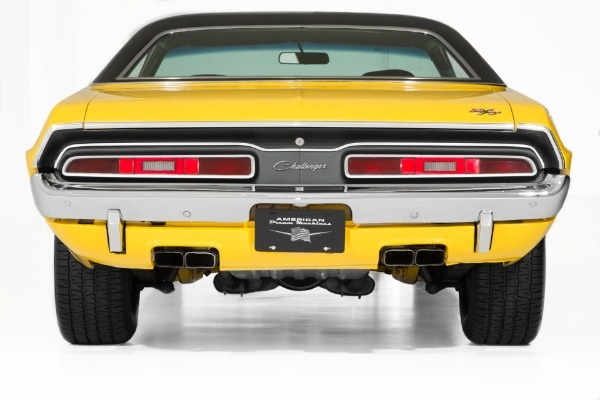 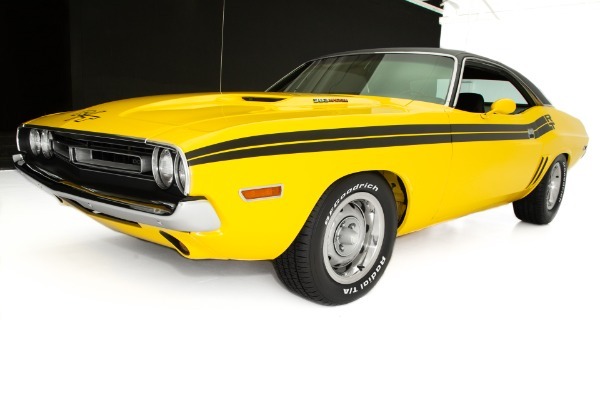 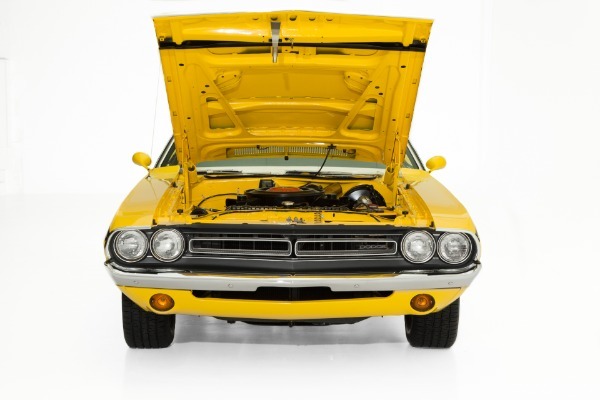 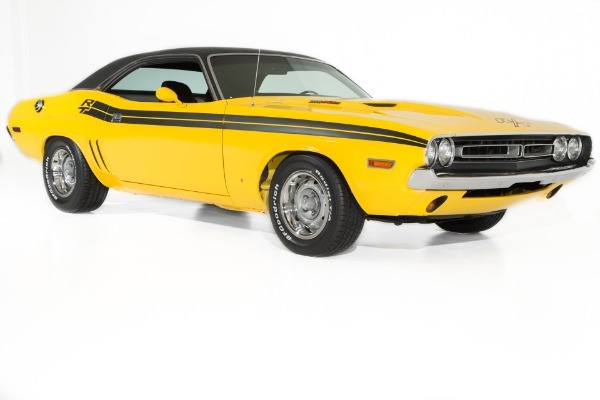 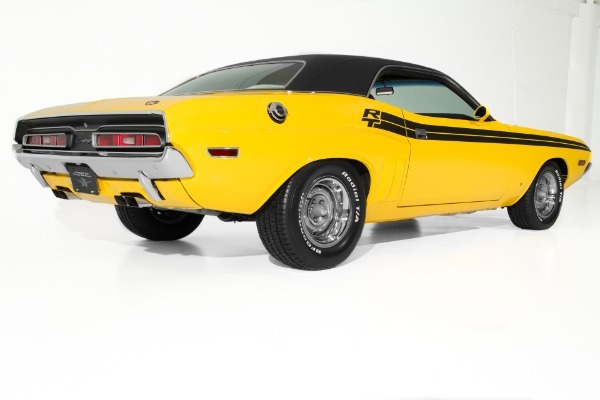 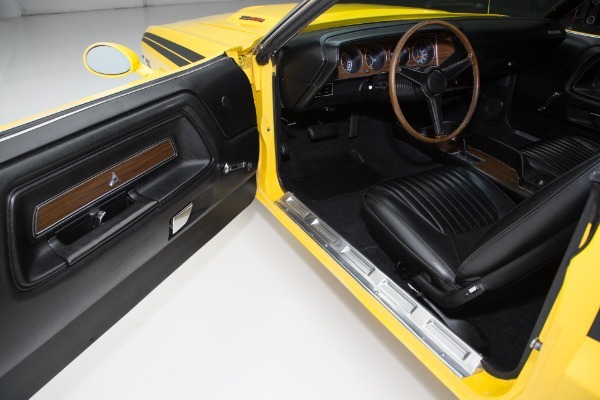 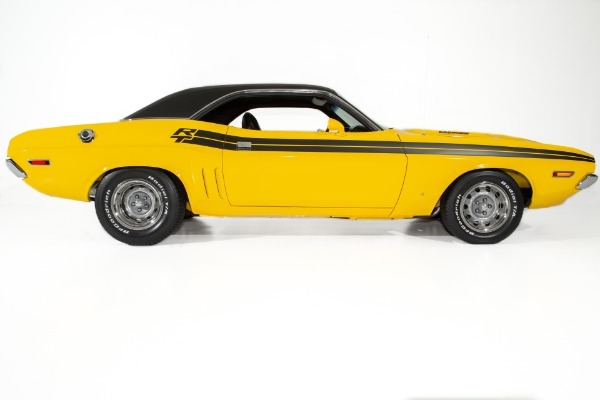 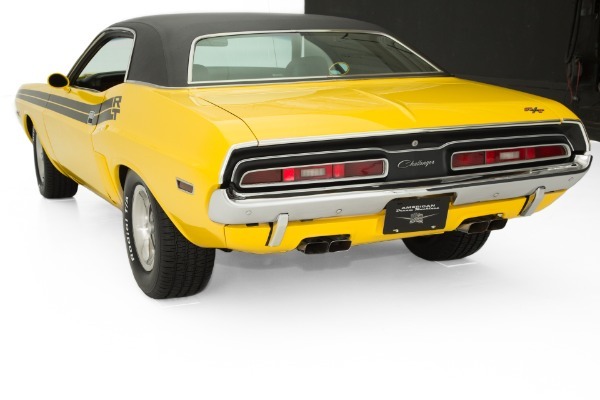 1971 Dodge Challenger RT with a comprehensive rotisserie restoration done in high impact yellow. 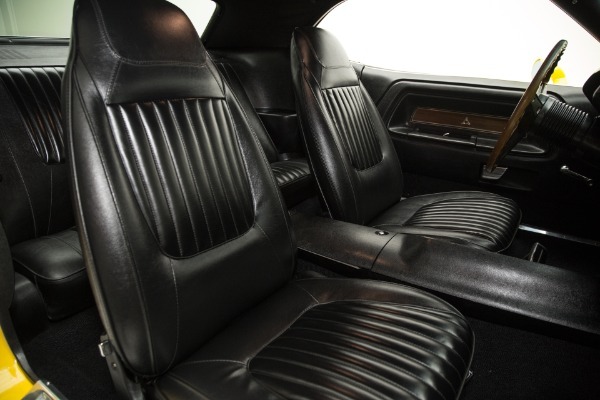 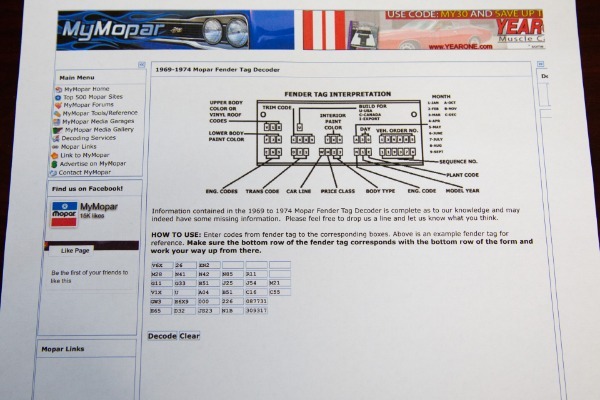 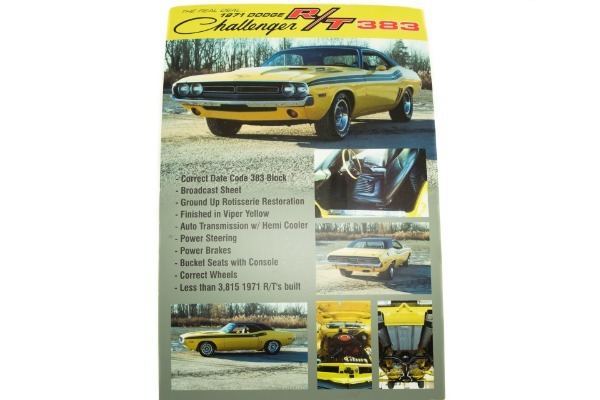 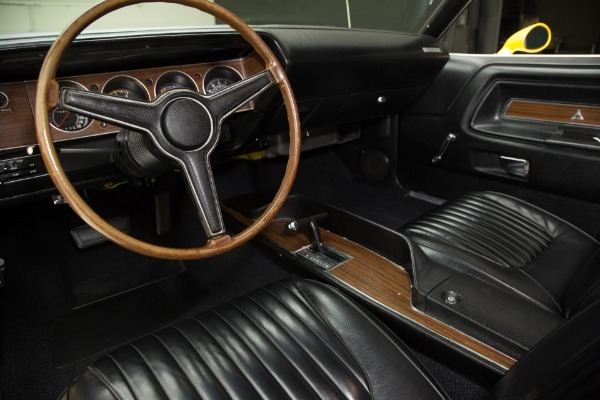 Real Challenger RT pedigree car with original broadcast sheet, black bucket seats, console, automatic 727 with slapstick shifter and rally tach and gauges. 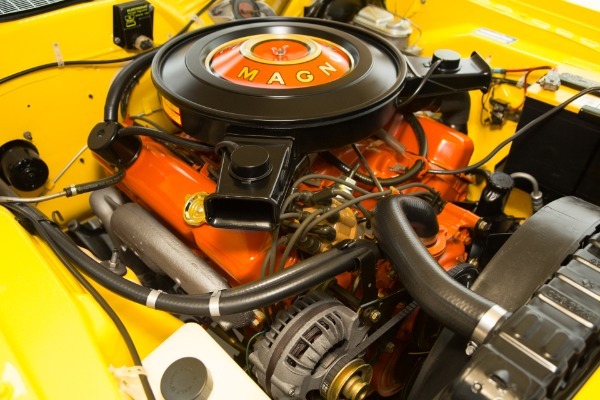 The show quality engine compartment showcases a date code correct 383 big block, freshly rebuilt to specs with very few miles on it. 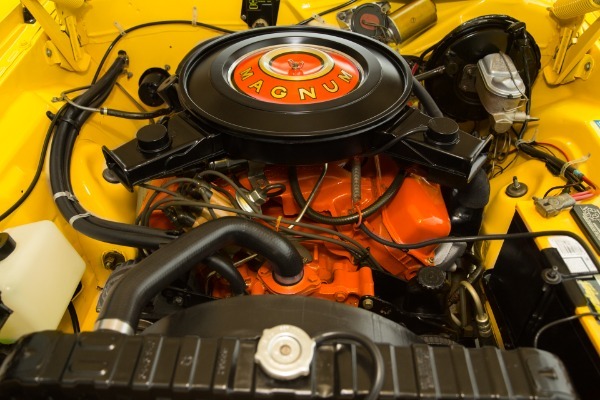 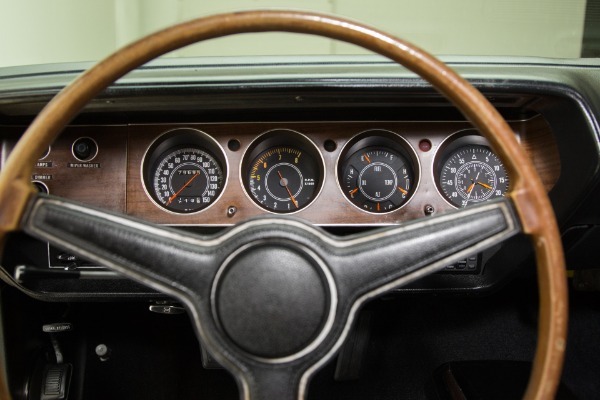 With builder specs, power steering, power front disc brakes, power bulge hood with the correct air cleaner accessories, this car is a true find. 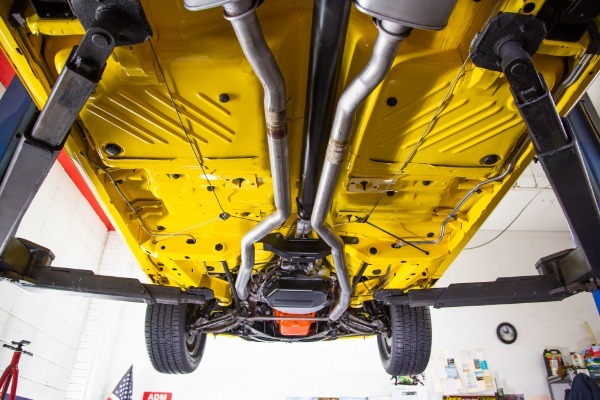 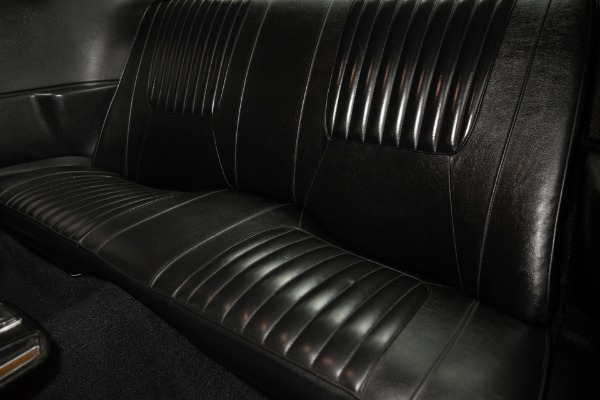 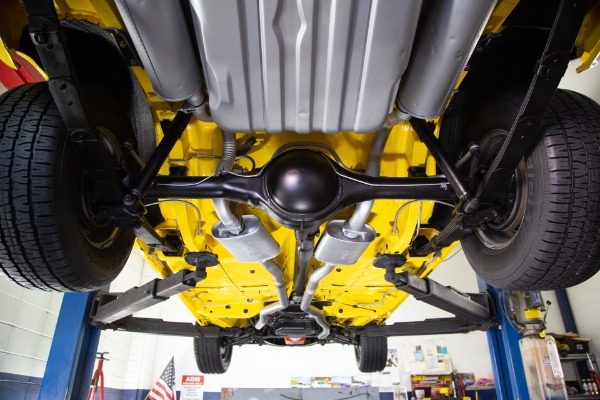 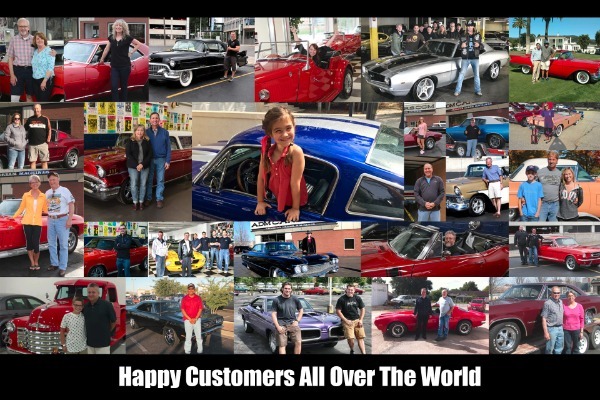 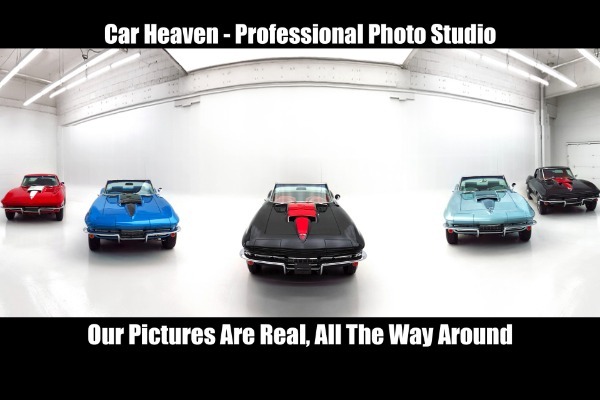 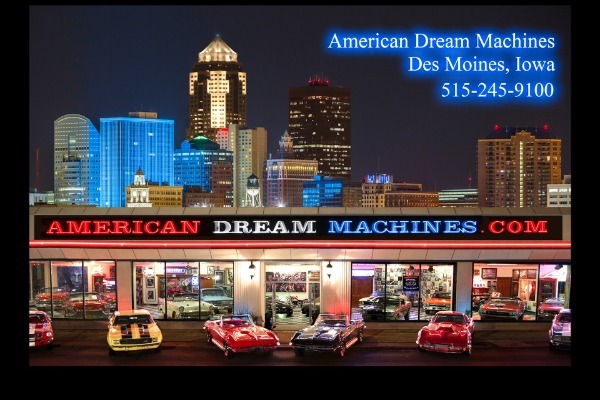 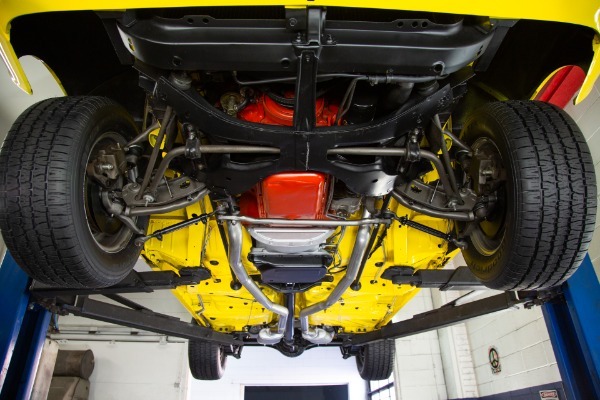 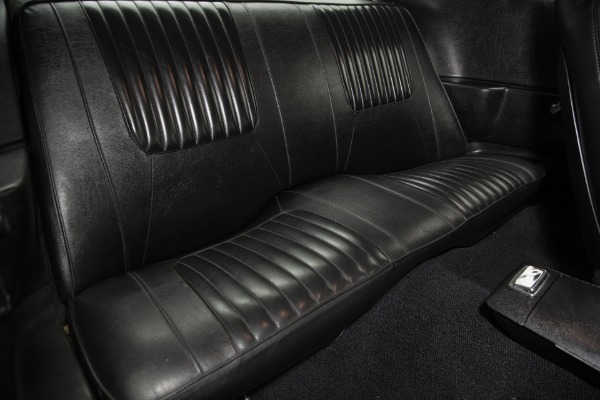 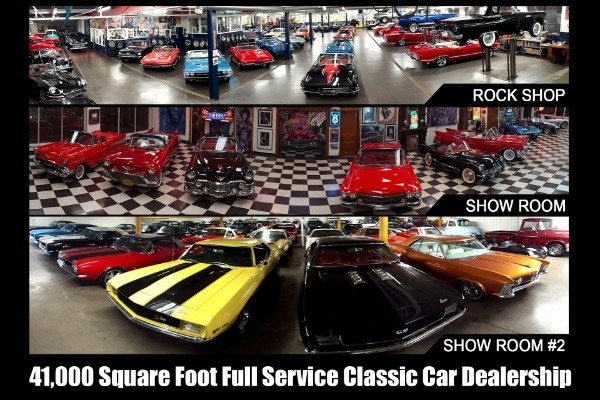 The structurally beautiful body is incredible and painted professionally from the top to the rotisserie restored floors which are intact from bumper to bumper with factory pinch welds. 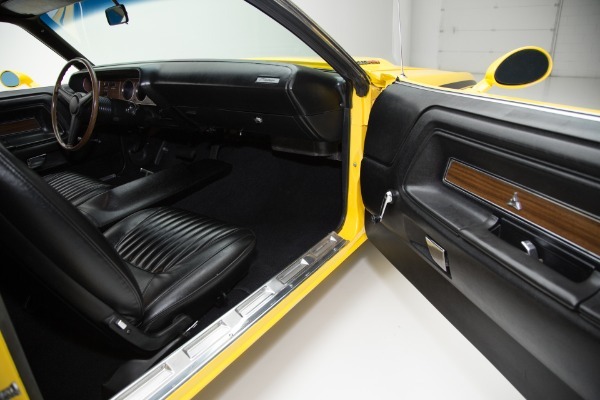 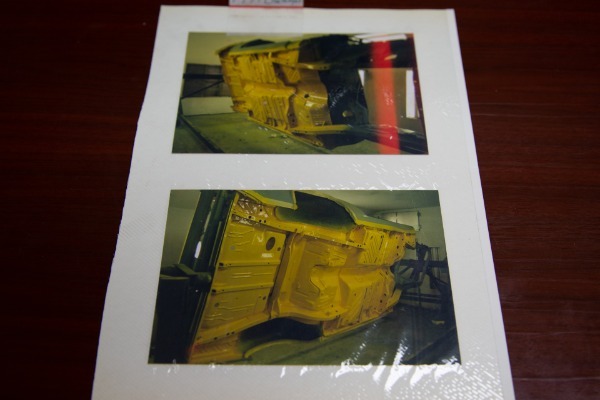 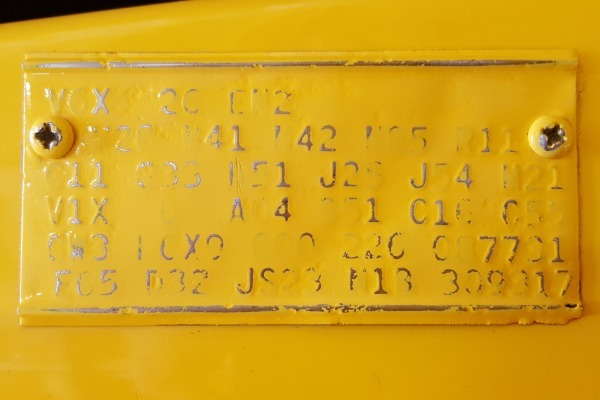 The car started with a very nice E body with great panel fit and was painted in Viper Yellow and accented with the correct RT striping on the side. 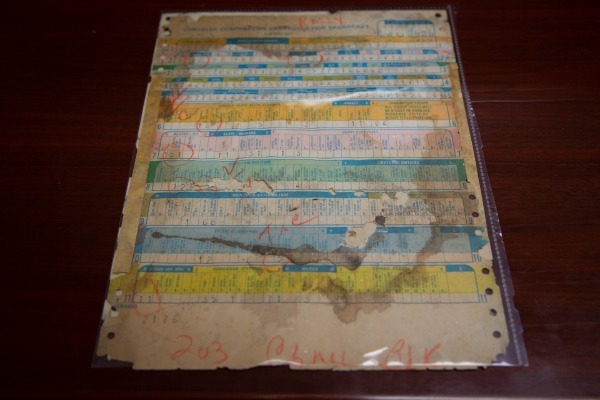 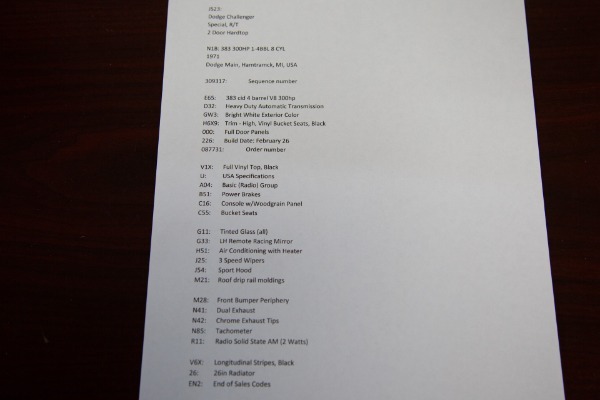 Documented with Broadcast sheet. 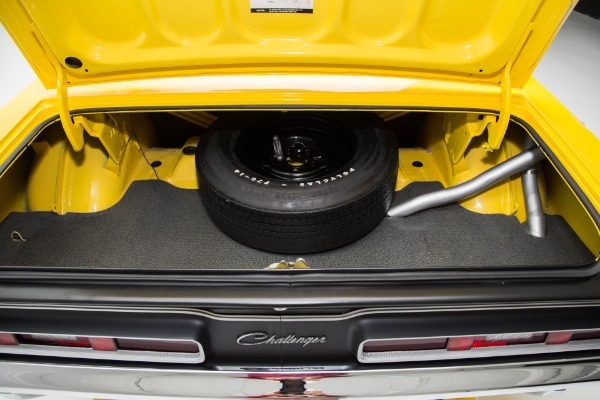 This blue chip Mopar muscle car is rolling on correct rally rims and new BF Goodrich Radial T/A white letter tires and is ready to put the rubber to the road. 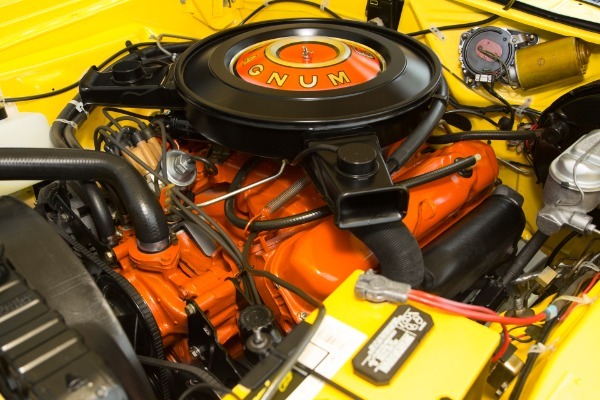 Correct cast intake with Holley 600 carb.